You are here: Home / About Soccer Psychology / What is Soccer Psychology? How Does it Help You? What is Soccer Psychology? How Does it Help You? 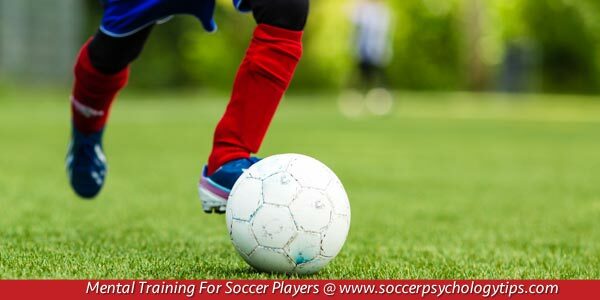 Many soccer players are confused about the role of soccer psychology and how mental training can improve your performance. 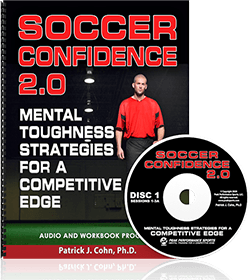 The goal of soccer psychology is to help soccer players and teams perform their best by improving mental skills that help athletes excel in sports. 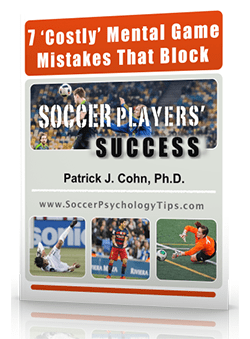 Soccer Psychology is not about working with problem athletes or abnormal behavior. Mental training or mental game coaching is the segment of sports psychology that concentrates specifically on coaching athletes on how to break through the mental barriers that keep them from performing up to their peak potential. Learning mental game strategies via mental game coaching helps to improve your overall performance by enhancing preparation and consistency. A myth that most athletes maintain is the view that mental and physical aspects of soccer are separate. Some athletes believe they must first master “perfect” technique or mechanics before they can improve their mental game, mindset, or mental skills. Our philosophy is that you cannot separate the mental from the physical when it comes to playing your best. Soccer psychology helps athletes develop confidence and focusing skills and is just as important as mastering the technical aspects of sport. When is Soccer Psychology Needed? How Can Soccer Psychology Be Useful? 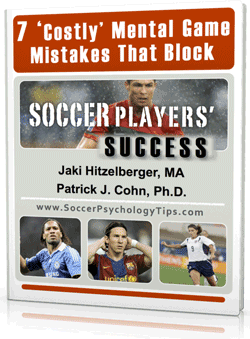 Want to learn more about soccer psychology strategies?